Step 1: Jerky can be made out of any meat like deer, bison, turkey, moose or even salmon but the best taste comes from beef. The composure of beef helps to prepare an awesome dish. Step 2: All the visible fats are needed to be removed. This is an important step as fat reduces the taste of beef jerky. The meat is cut into medium strips so that it can be eaten easily. Step 3: The meat strips need to be marinated in a preparation of vinegar, sea salt and olive oil for some time and keep the same in the refrigerator for at least 10-12 hours. More one can keep in the refrigerator, it will be good. Several people do add honey, caster sugar, peppers and even beer to add taste. Step 4: Salt and herbs are sprinkled over the meat. One an also pour ground chipotle, pepper, salt and cinnamon as per desired quantity and taste. Some are in favor of giving coriander, clove, cumin, chili powder, oregano, etc. Step 5: Beef strips are kept on a plate and are put in the drying oven. 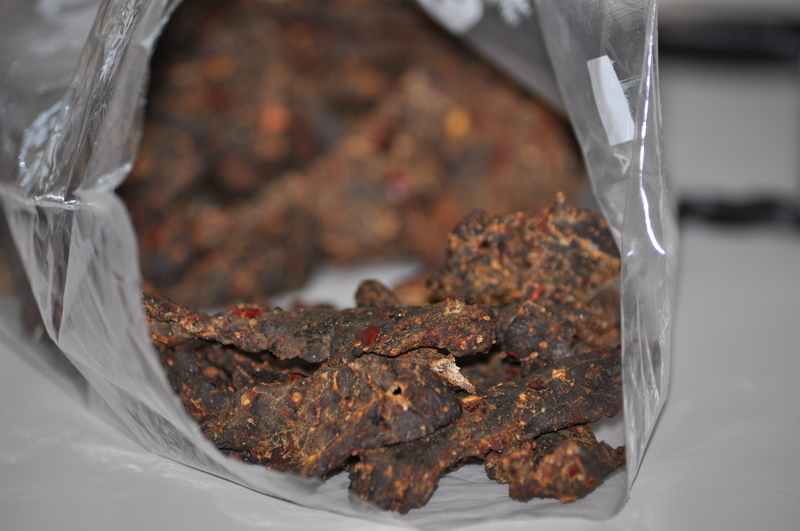 Need to be inside the oven for around 2 to 3 hours to produce quality beef jerky. Step 6: Hot strips of beef jerky are put in a glass jar to make those cool. This is the process of how to make beef jerky.